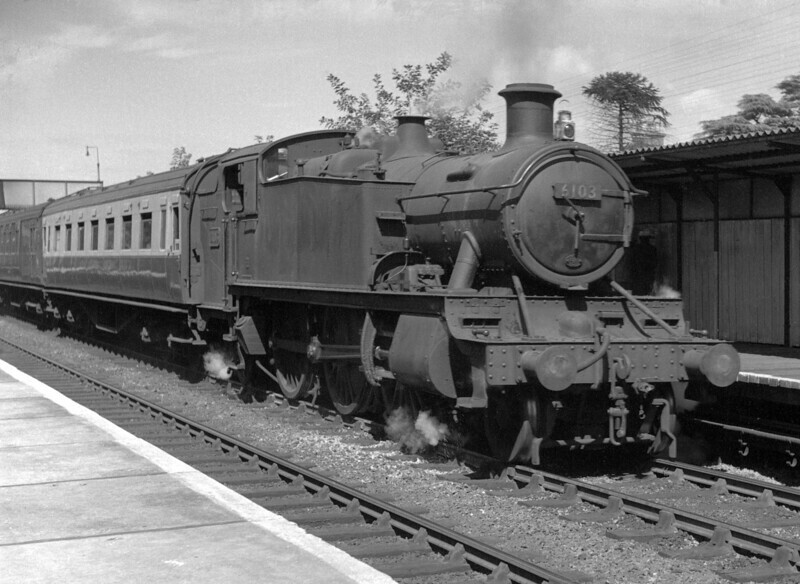 6103 at Reading West with an unknown local service on 28 July 1951. Does the presence of Southern stock indicate that Basingstoke was the destination? An early half frame negative which has suffered rather badly from ageing.